Step out of Melbourne to go to Torquay and see The Great Ocean Road, which is approximately 1h 40 min away. Dedicate the 21st (Sat) to wine at some of the top wineries in the area. There's much more to do: admire the natural beauty at Royal Botanic Gardens, take in panoramic vistas at Eureka Skydeck 88, examine the collection at Melbourne Museum, and contemplate the long history of Old Melbourne Gaol. Find out how to plan Melbourne trip without stress by asking Inspirock to help create an itinerary. Windhoek, Namibia to Melbourne is an approximately 26-hour flight. The time zone difference moving from Central African Time (CAT) to Australian Eastern Standard Time (Victoria) (AEST) is 8 hours. Traveling from Windhoek in September, expect nights in Melbourne to be slightly colder, around 7°C, while days are colder, around 20°C. Cap off your sightseeing on the 23rd (Mon) early enough to travel to Alice Springs. Spend the 26th (Thu) exploring nature at Finke Gorge National Park. 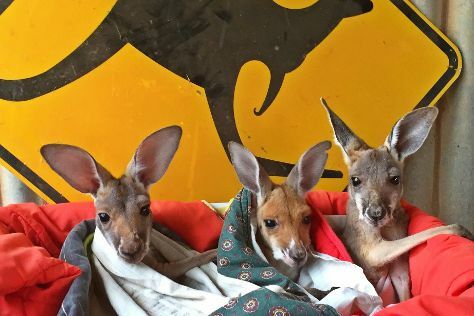 The adventure continues: look for all kinds of wild species at The Kangaroo Sanctuary, get outside with Ellery Creek Big Hole, take in the local highlights with Walking tours, and don't miss a visit to Ormiston Gorge. To plan Alice Springs vacation without wasting time, ask Inspirock to design an itinerary. Traveling by flight from Melbourne to Alice Springs takes 5 hours. Alternatively, you can drive; or take a bus. Traveling from Melbourne in September, expect Alice Springs to be somewhat warmer, temps between 32°C and 11°C. Wrap up your sightseeing on the 27th (Fri) to allow time to travel to Darwin. When in Darwin, make a side trip to see Litchfield National Park in Batchelor, approximately 1h 45 min away. Spend the 28th (Sat) wandering through the wild on a nature and wildlife tour. Plan for a day of cool, family-friendly fun on the 2nd (Wed) at Darwin Waterfront. And it doesn't end there: enjoy the sand and surf at Mindil Beach, view the masterpieces at Mason Gallery, get some thrills on the water with a speed boat tour, and make a splash at Wave Lagoon. To see where to stay, maps, ratings, and tourist information, read our Darwin trip planner . You can fly from Alice Springs to Darwin in 5.5 hours. Other options are to drive; or take a bus. Expect somewhat warmer weather when traveling from Alice Springs in September: highs in Darwin hover around 38°C, while lows dip to 26°C. Wrap up your sightseeing on the 3rd (Thu) to allow time to travel to Cairns. Change things up with these side-trips from Cairns: Port Douglas (Safaris, Wildlife Habitat Port Douglas, & more) and Palm Cove (Hartley's Crocodile Adventures & Palm Cove Beach). Spend the 4th (Fri) among aquatic life with a scuba or snorkeling tour. Next up on the itinerary: hike along Esplanade Boardwalk, have fun at Esplanade Lagoon Pool, view the masterpieces at Bones and Jones, and have some family-friendly fun at Cairns Kart Hire Track. To see traveler tips, ratings, other places to visit, and tourist information, refer to the Cairns online itinerary planner . You can fly from Darwin to Cairns in 4.5 hours. Alternatively, you can drive; or take a bus. Plan for a bit cooler temperatures traveling from Darwin in October, with highs in Cairns at 34°C and lows at 24°C. Finish up your sightseeing early on the 10th (Thu) so you can travel to Brisbane. Venture out of the city with trips to Warner Bros. Movie World (in Oxenford) and Sea World Theme Park (in Main Beach). The adventure continues: let the kids burn off some steam at South Bank Parklands, take in nature's colorful creations at City Botanic Gardens, get great views at Mount Coot-tha Lookout, and explore the world behind art at Queensland Art Gallery. 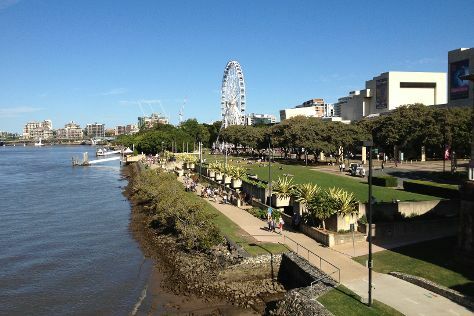 Use Inspirock's suggestions to plan your Brisbane trip and find the best activities and attractions for your vacation. Fly from Cairns to Brisbane in 5.5 hours. Alternatively, you can do a combination of flight and bus; or drive. In October, Brisbane is a bit cooler than Cairns - with highs of 29°C and lows of 19°C. Finish up your sightseeing early on the 16th (Wed) so you can travel to Sydney. Spend the 21st (Mon) exploring nature at Sydney Harbour National Park. 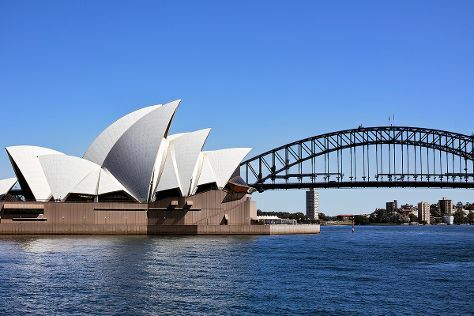 And it doesn't end there: see a show at Sydney Opera House, examine the collection at Australian National Maritime Museum, admire nature's wide array of creatures at Sea Life Sydney Aquarium, and hunt for treasures at Sydney Fish Market. For ratings, traveler tips, other places to visit, and tourist information, go to the Sydney trip tool . Fly from Brisbane to Sydney in 4 hours. Alternatively, you can do a combination of bus and flight; or drive. In October, daily temperatures in Sydney can reach 28°C, while at night they dip to 17°C. Wrap up your sightseeing by early afternoon on the 26th (Sat) to allow enough time to travel back home.